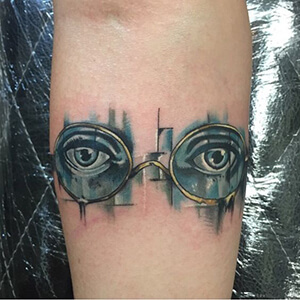 They say that “the eyes are the window to the soul,” so it’s no surprise that eye-themed tattoos are so popular. Eye symbols appear in a variety of forms, throughout different cultures and stories. Below, we’ve put together a comprehensive list of eye tattoo meanings. 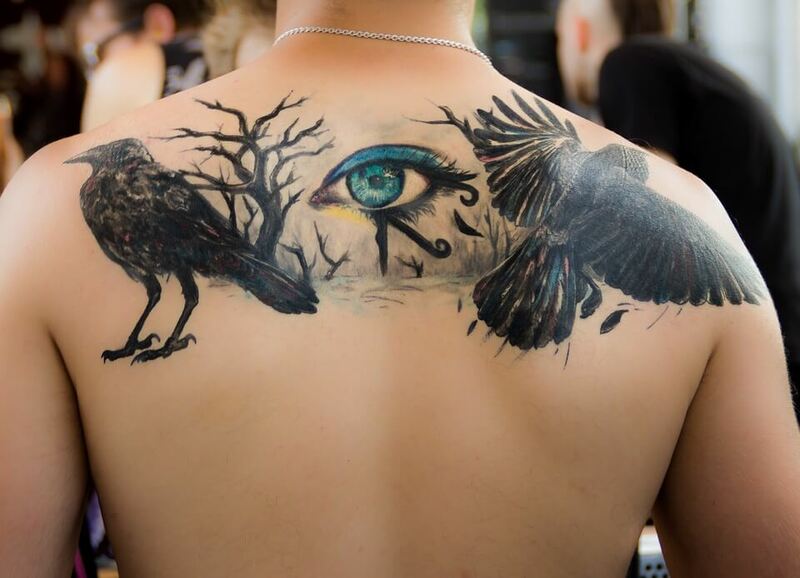 Take a glance, and learn about the story behind these eye-catching tattoo designs! Cheshire Cat Eyes: a tribute to Alice in Wonderland, the Cheshire cat eyes are hypnotic. In the story, the Cheshire cat often presents riddles to Alice which leave her perplexed. 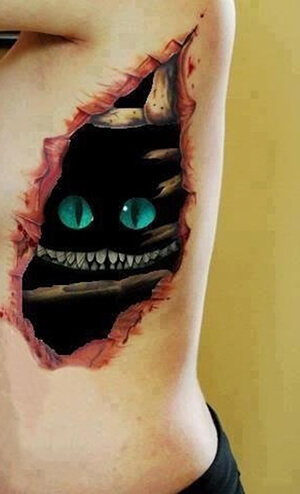 A tattoo of the Cheshire cat’s eyes can represent one’s nostalgic connection to this classic childhood story. 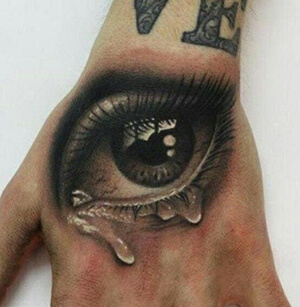 Crying Eye: the teardrop tattoo design can symbolize the wearer’s history of murder or time spent in prison. It can also be an acknowledgement of the loss of the wearer’s friend, family, or gang member. 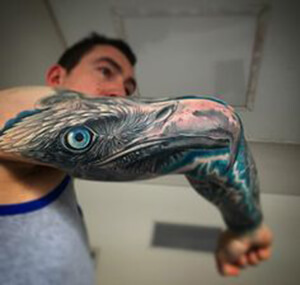 Eagle Eye: known for its outstanding ability to spot prey on the ground, an eagle tattoo design represents clarity, bravery, vision, and focus. As an animal that’s able to overcome obstacles in the face of adversity, the eagle also symbolizes a resilient spirit. 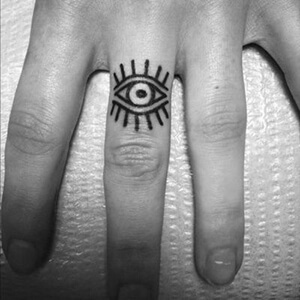 Evil Eye: contrary to what its name suggests, this tattoo design is meant to ward off evil-not to welcome it. It’s commonly found on the wearer’s wrist or the back of the neck. 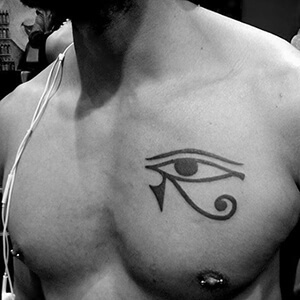 Eye of Horus: also known as the Eye of Ra, this tattoo design has Egyptian origins. Horus is one of the most ancient sun gods. His eye symbolizes protection, royalty, and good health. For more mythological tattoo designs and their meanings click here. Gatsby Eyes: in Scott Fitzgerald’s famous book, ‘The Great Gatsby,’ T.J. Eckleburg’s spectacled eyes are one of the most prominent symbols. A tattoo design of these eyes represents the ‘always watching’ eyes of God and the death of the American Dream. 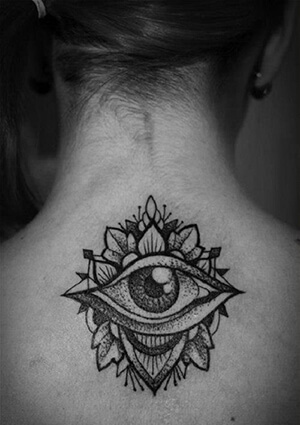 Third Eye: this eye tattoo design is a religious symbol, also known as the ‘Spiritual Eye’ or the ‘Eye of the Soul.’ It represents intuition and the ability to foretell the future. Typically, this eye design is enclosed within a triangle with sun rays emitting from it. This triangle represents the Father, the Son, and the Holy Spirit. Tiger Eye: this fierce design represents a man’s will to survive. 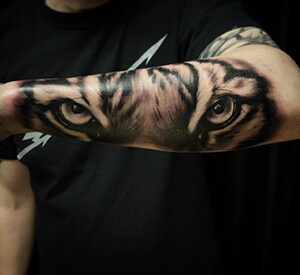 Tiger eyes as tattoo designs also symbolize focus, patience, and primitive instinct. Eyes have always been a uniquely important part of the face, and this shows in all the kinds of eye tattoos that have been created. Whether they’re the eyes of animals, book characters, or your own, eye tattoo designs are aesthetically distinctive and conceptually meaningful. 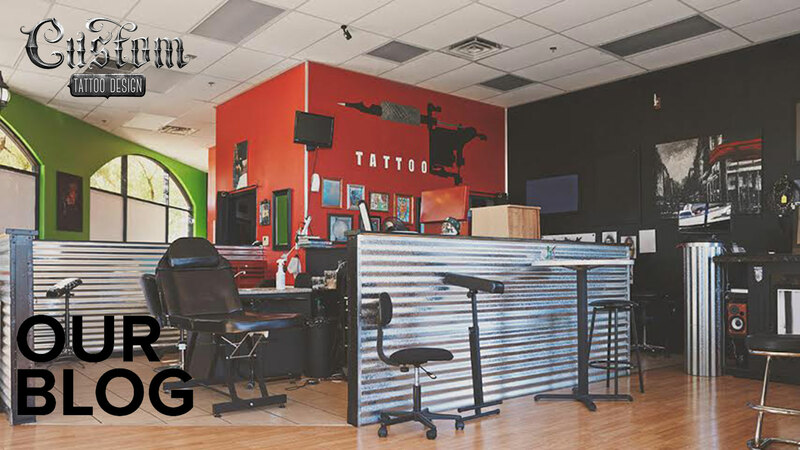 If you know of any other interesting eye tattoo designs, tell us about them in the comment section below!